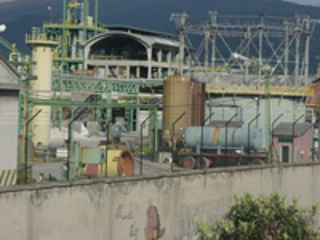 In the city of Brescia, a few hundred meters from the historic centre, the chemical industry Caffaro (since 1985 owned by Snia-BPD, then Snia S.p.A.) has been operating since 1906. The industry produced caustic soda (NaOH), from the 30s the activities were dedicated mainly to the fabrication of chlorine organ compounds, specialized from 1938 to 1984 in PCBs (polychlorinated biphenyls). The latter was the exclusive production in Italy thanks to the patent granted by Monsanto. In 2001, after the publication of a research about the Caffaro history , there emerged the serious pollution produced by the industry in the nearest areas of the city, which directly affected around 25,000 inhabitants. Analysis carried out by the regional agency for the protection of the environment (ARPA), Local and National health authorities (ASL and ISS) proved the high PCB contamination of the area (up to 100 times above the limits of the law). The pollution included mercury, carbon tetrachloride and DDT and affected land, surface water and groundwater. 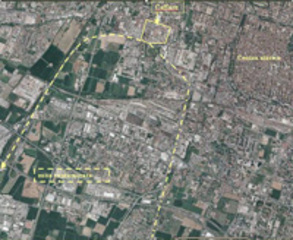 Consequently, the area was included within the contaminated sites of national interest . Moreover, an illegal special waste landfill site was found near the industry and subsequently included in the sites to be reclaimed with urgency. In 2001, directly affected citizens started a mobilization to obtain the reclamation of the area. A Popular Committee against pollution in the Caffaro area was created and supported by an Independent Scientific Committee constituted by doctors, scientists and researchers . 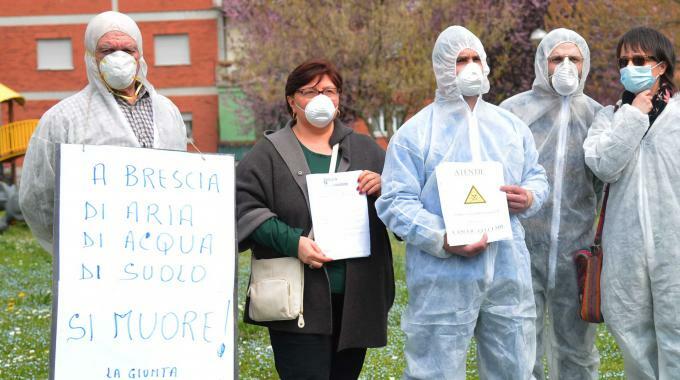 In 2001, after the publication in the newspaper “La Repubblica” of research results denouncing the contamination provoked by the Caffaro, the case come to the attention of the citizens of Brescia. Actually, the industry at that time was in downsizing and the most significant spills of PCBs and dioxins in the surrounding area occurred in previous decades. From that moment the institutions responsible for environmental and health inspections were forced to carry out environmental surveys and biological monitoring, until then never executed. The analysis highlighted the serious and disastrous environmental pollution of the area. 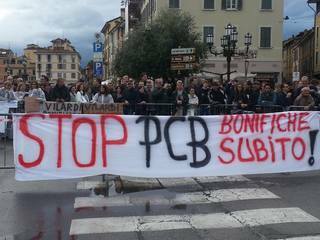 In 2002, once the extent of the contamination and danger for local population was evident, the mayor of Brescia banned farming for human alimentation and forbidden the consumption of goods produced in the area . Similar municipal ordinances to limit the use of the polluted lands (public gardens, agricultural fields, pastures, etc.) have been extended for periods of six months until 2014 . Over the years, increased attention on the Caffaro case through studies, conferences and events thanks also to the actions put in place by local Committees. In 2008, new studies’ data were published concerning the high presence of dioxins in blood and breast milk of the population . 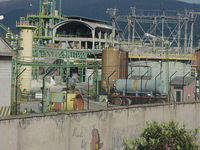 In 2009, Snia S.p.A. decided to put into liquidation the Caffaro, the liquidation process ends in 2011. However, the definitive cessation of the activities has been announced in 2013. The urgent remediation process progresses slowly, despite the 2009 Programme Agreement issued by the Region for the remediation of the SIN  and the media attention on the case. Local committees ask for a general plan for the reclamation of the SIN area, the polluted lands outside the SIN perimeter and groundwater. The mobilization included public assembly to disseminate information and raise awareness on the health risks for the population, demonstrations, participation in conferences organized by local authorities, popular petitions, appeal to the judiciary (civil and criminal justice) and appeal to the European Union for infringements of the Community law. In the last years, citizens directly affected by pollution have initiated legal action for damages, but without success. In 2014 started a new civil lawsuit against the owners of Caffaro actioned by local citizens and the Municipality of Brescia . 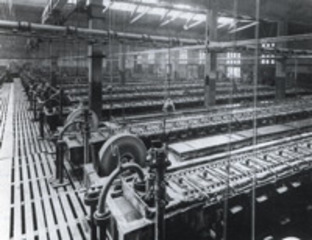 Project Details Initially the Caffaro produced caustic soda (NaOH), used to fabric soaps, textiles, paper. From the 30s the activities were mainly dedicated to the fabrication of chlorine derivatives, all substances toxic, carcinogenic and non-degradable. Some of them are known as POPs (persistent organic pollutants) or “Dirty Dozens” . Other After 2001, several analysis of the soil have been carried out by the regional agency for the protection of the environment (ARPA). 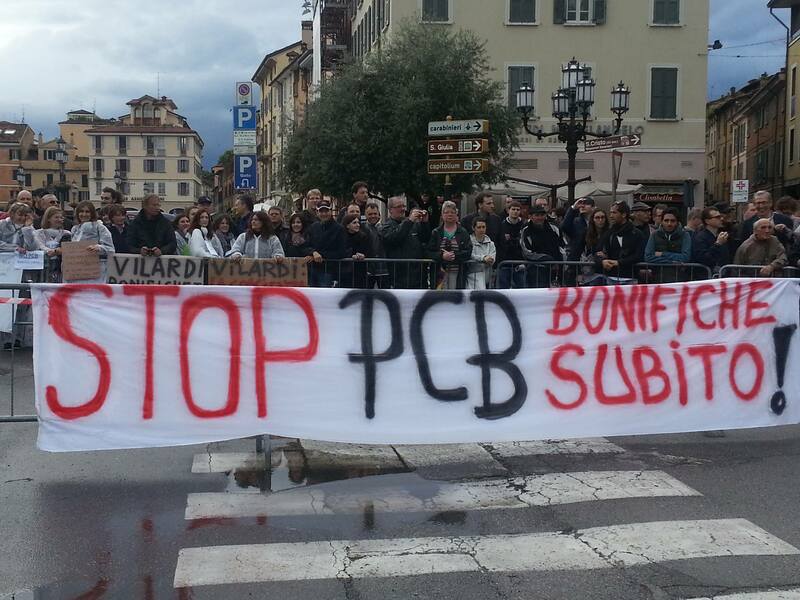 The studies proved the high PCB contamination of the area up to a maximum of 8.330 μg/kg (law limits 1-60 μg/kg). The dioxins pollution up to 3.322 ngTEQ/kg (law limits 10 ngTEQ/kg) . Other substances highly contaminating lands, groundwater and surface water: mercury, carbon tetrachloride and DDT . Other Increased incidence of cancer among the population of Brescia is demonstrated by the reports of the National Health Institute, ISS (2011, 2014) . In addition, scientific studies provided some evidence for associations between PCBs exposure and the higher risk of non-Hodgkin lymphoma (NHL) . Other Economic damages for the loss of property value (land, houses). Development of Alternatives Local committees (Comitato popolare contro l’inquinamento della zona Caffaro; Comitato per l’ambiente Brescia Sud; Genitori scuola Deledda; Rete Antinocività Brescia) have been demanding for years a virtuous process for the reclamation of the Caffaro Site. Committes demand a general reclamation plan that should include different polluted area (industrial site, groundwater, public and agricultural lands, private lands..). A plan of this magnitude requires the activation of extraordinary scientific and technical resources as well as a consistent and adequate funding. The reclamation project, including the re-use of the industrial site, should have access to European funds. It should be developed and monitored by a Technical and Scientific Committee, composed of independent experts. The institution responsible for the reclamation plan should be supported by political forces and should inform citizens and involve local committees in the reclamation process. Why? Explain briefly. Over the years, local independent environmentalism has obtained significant results. Firstly, bringing out a disastrous environmental pollution remained hidden for decades. Secondly, protecting local population affected by pollution, through the dissemination of information and the pressure on institutions to stop the serious exposure to risk for human health. However, the most fundamental issue regard the reclamation process. Currently, although there were commitments for remediation circumscribed in some areas, there is not a general plan of reclamation and allocation of related resources, (needs estimated at hundreds of millions of euro). In addition, there is a lack of interest by the institutions to solve the serious problem. 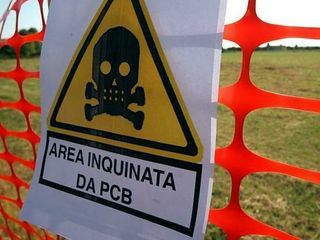 Celestino Panizza e Paolo Ricci, Contaminazione da PCB: Brescia è piú inquinata di Seveso, in “Epidemiologia & Prevenzione”, n. 26, maggio-giugno 2002, pp. 145-153.